Tim and The Boys – Dork is not a four letter word. Fun facts whose validity comes into question. Tim and The Boys try a new setup to record this episode. The boys talk about their digital delights: their current favorite screen-based entertainment. They all play 2 real 1 fake where they talk about three things from their day where one of them is made up. Also, Pirate Mad Lib, fun facts, and a music trivia gave with a $5 bill for the winner! Tim and The Boys talk about comic book movies: Guardians of the Galaxy, Batman (1989), Superman (1979), and their trip to Yosemite. Our new sound technique caused some echo… we’ll work on that! May 21, 2014 by Tim·Comments Off on Ep 003: May21-Lotsa Legos! Tim and The Boys get all Lego on you! The Lego Hotel, Legoland, Lego sets, but then a little talk about school. April 22, 2014 by Tim·Comments Off on Ep 002: Apr21-Rio2 Review, Herobrine, and More! 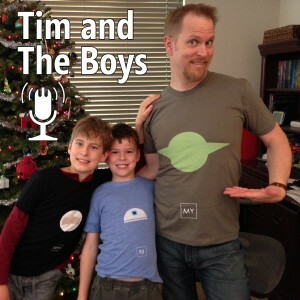 Tim and The Boys discuss favorite US city to visit, and Disney characters. 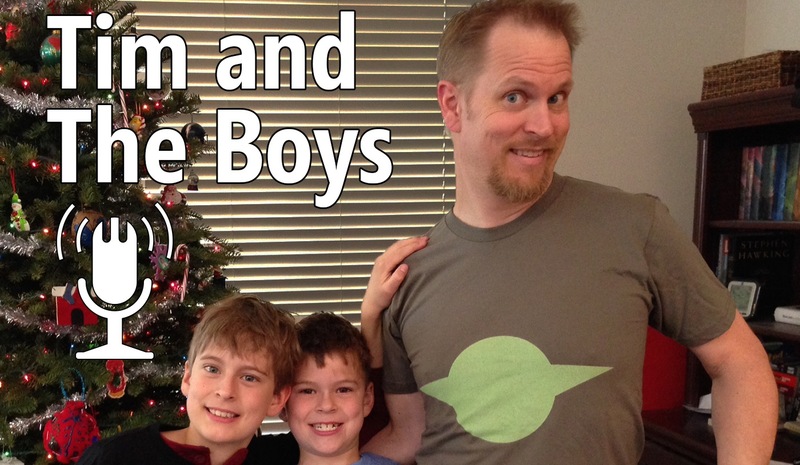 The Boys (sort of) review Rio 2, and Aidan explains what Herobrine is in Minecraft.